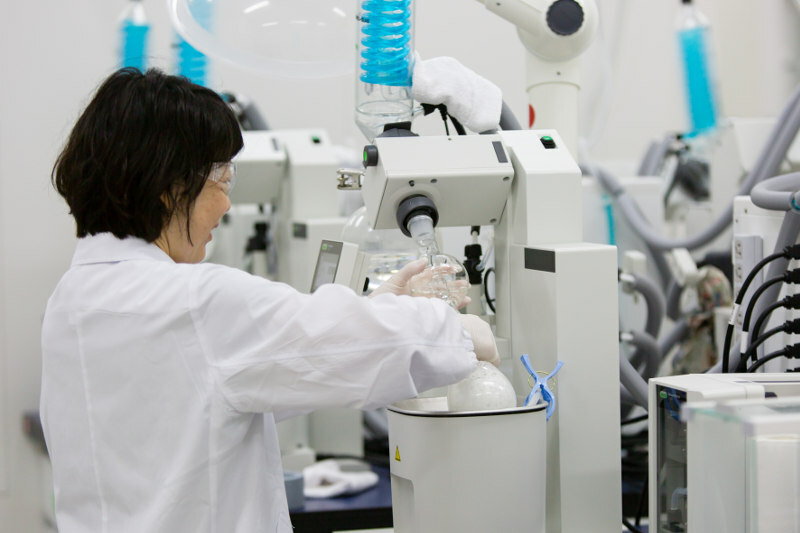 Kyulux, Inc., a global leader of TADF and Hyperfluorescence™ developer, has been engaged in a joint development focusing on blue TADF and Hyperfluorescence™ with LG Display Co., Ltd., from January, 2018. In addition to LG Display, Kyulux has now executed a Joint Development Agreement (JDA) focusing on Deep Blue with Samsung Display Corporation. 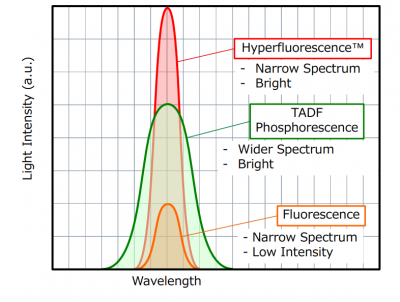 Both of two giant display panel makers in OLED, LG Display and Samsung Display have now selected Kyulux as a blue TADF and Hyperfluorescence™ joint development partner. 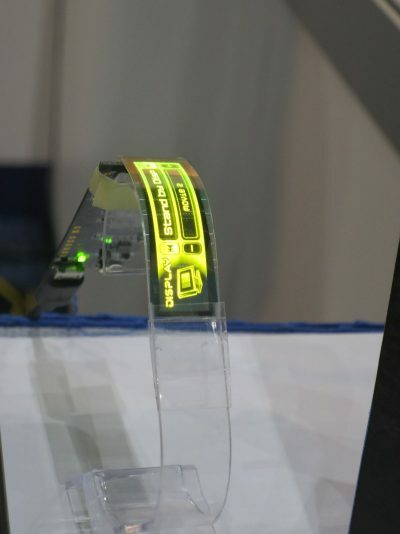 Last week at the SID DisplayWeek in Los Angeles, CA, Kyulux demonstrated Wisechip’s latest flexible PMOLED display – that uses Kyulux’s Hyperfluoresence yellow emitter. The power consumption of this display, compared to Wisechip’s fluorescent yellow, is almost half! The Wisechip flexible display is 42.22 mm x 10.54 mm in size (1.71″ diagonal), with a resolution of 256×64 pixels. This display is now ready to be produced and Wisechip believes it will enter mass production before the end of 2018. If so this will be the world’s first HF (TADF) powered device! 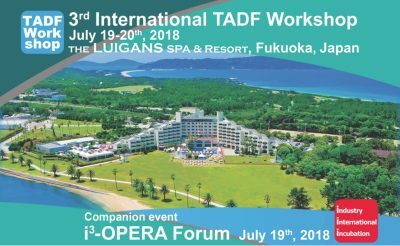 The 3rd International TADF Workshop will take place on July 19-20th, 2018, in Fukuoka, Japan. This scientific event will discuss the latest in TADF materials, device architectures, upconversion mechanisms and TADF applications. Other topics will include singlet fission and perovskite emitters. The event is organized by Kyushu University, i3-OPERA and Kyulux. The TADF Workshop will be preceded by the i3-OPERA Forum, which focuses on industry-oriented OLED technologies. Attending the TADF Workshop is free of charge (but there is a charge to attend the Conference Banquet). For more information and to register, click here!